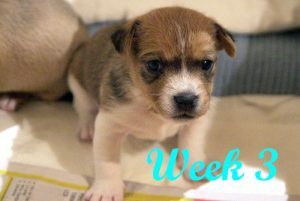 When your female pet dog gives birth to newborn puppies, it is time to take stock of the situation. If things go well, the pups will take to suckling on her milk and things will go as per schedule which is good. In such a case, you ought to let nature take its course. However, sometimes, things go awry. There may arise some developmental difficulties and hurdles. Many times, the mother dog will find a puppy (or two) defective and push it away from her. Moreover, she will not suckle this odd pup. If push comes to shove, she will even abandon it which is a heartbreak to even contemplate let alone witness. So, what can you do in such a case? Well, there are several steps that we human beings can take as pet owners to oversee the nourishment of newborn puppies. It’s not an easy task, but with enough foresight and expert advice, you can do it. To begin with, here is a word of caution; never cut the placenta from the pups’ belly buttons. This may result in the loss of a lot of blood which will cause certain death of the puppies. Also, there are a few basic instincts the pups are born with. These include hankering after the warm parts of the mother. They also have a habit of latching onto the mother’s teats. Then they excrete urine and feces when licked by the mother on the underside. Finally, their bodies become rigid when you hold them by the neck. So, prepare a whelping box for the mother and pups. This is so that the pregnancy and its aftermath proceed in a smooth manner. The whelping box should have extra side space in it for the pups to ensure that the mother dog does not asphyxiate her pup by sheer accident. 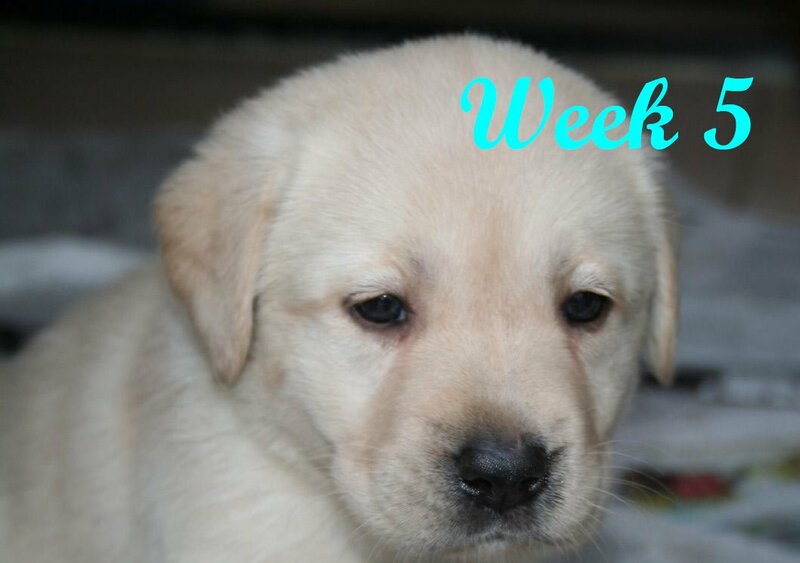 During the first week, puppies face cold exposure since they don’t have much fur to keep them warm. So, the temperature of the area ought to be a balmy 30-degrees centigrade. This is possible by lining the whelping box with a heated mat. So, make sure it is not a faulty one because you don’t want any electric shocks. Moreover, while the puppies cannot see or hear at this early stage, they can feel stuff via their delicate skins. The thing is, they are very sensitive and vulnerable. Hence, you ought to handle them with care. If the puppies adapt to mother’s feed, well and good. They will be getting all the colostrum they need. Since mother’s feed contains antibodies which keep their immune systems running at full tilt. Therefore, no infection can upset the health of the puppies. If the puppies don’t take to the mother’s teats, you may guide them in the process. Do it in a gentle manner. Feed the mother dog some late pregnancy dog food which will prepare her for the suckling of her infant pups. Additionally, you should leave the mother and pups alone to undergo the attachment process at this stage. Check the temperature time after time to make sure it is right. However, the puppies may face rejection in an offhand manner from their mother. If this occurs, you will have to take some alternative action. Thus, to be on the safe side, buy a milk formula substitute meant for newborn puppies from the market. Feed this via a small bottle to the puppies. The conditions should be hygienic and supervised medical aid must be available. Do not under any circumstances mix two separate things i.e. the mother dog’s milk and milk formula substitute. This will only confuse the pups. Also, you should suckle the newborn puppies every 120 minutes throughout the course of a day. Wipe their snouts with a clean dry cloth after each feeding period. Also, keep in mind that you need to disinfect the feeding bottle after every feed. This is to ensure no germs get transferred into the tiny mouths of the puppies. The puppies ought to be getting heavier with each passing day which is normal. Weigh them time after time on a scale. This will tell you whether they are thriving or not. Weight loss at this stage should be a warning sign that all is not well with the puppies. Also, by the end of the first week, they should be able to raise themselves up on their front legs. Bit by bit, the pups will begin to open their eyes. They will peep at the wide and wonderful world around them with keen curiosity. Also, they will show the very first signs of interacting with the other members of their litter. 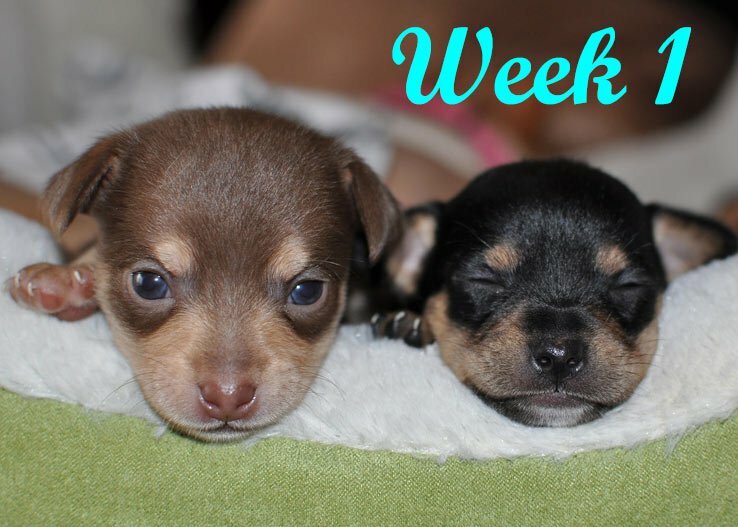 At some stage of the second week, you should take these pups to a vet. The vet will then feed them a medicinal solution which will get rid of all worms they have. They may have contracted these worms from the mother dog’s unhygienic teats. Furthermore, other people who enter your house shouldn’t handle these newborn puppies. This is because they may infect the pups. Moreover, keep any other animals like cats away from the pups. Since chances of catching a nasty infection are very high at this stage. By the time a fortnight is over, and the third week has begun, the pups should be getting up on their hind legs. By now the earlier suckling and maternally-attuned reflexes will vanish. This is a clear sign that the pups are moving on to a much more mature version of their former selves. The cute puppies start exploring their environment. However, you should still be careful while handling them since they are fragile at this stage. 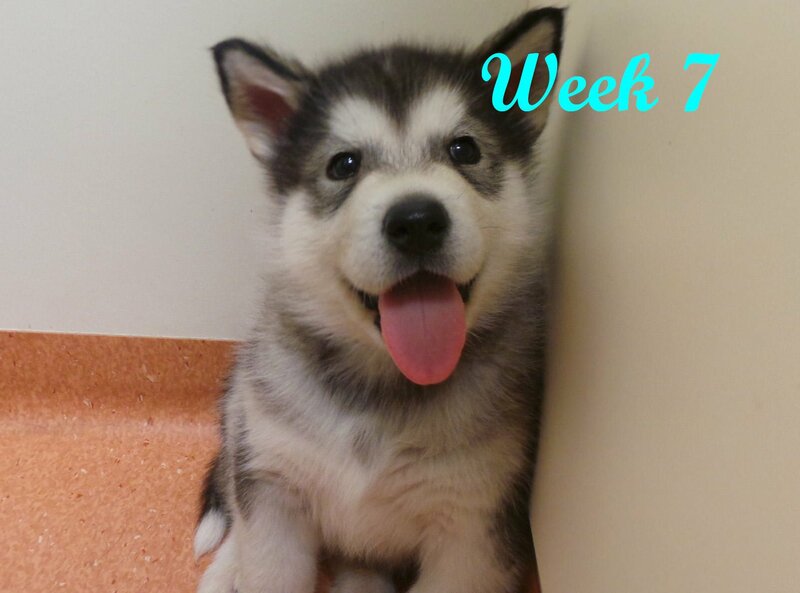 Pups are not born with teeth, but at this stage, they will have started sprouting them. The teeth will follow the same pattern as human children do. They will shed their milk teeth with time then permanent teeth will take their place. Furthermore, the vet will see to it that these pups don’t get any dental caries. 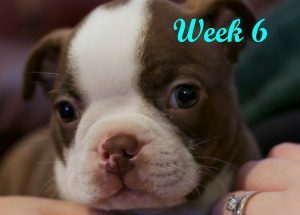 Now is the right time to start weaning the puppies from a diet of milk to a semi-solid gruel. This is best done by mixing the Starter Kibble with some water and milk. The result is a sort of thin oatmeal-like mixture which the puppies will like to lap up with gusto. They will also start moving about from here to there and back. The box which they were confined in until now will not prove spacious enough at this stage. Thus, they will move out of it. So, the surrounding area must be safe and secure for them. The puppies are beginning to be more active by now. They have entered what is called the “shaping process”. Their behavior is dependent on social interactions with their siblings and human owners. Humans ought to furnish these pups with a whole lot of stimulation. This includes colorful television programs, soothing music, and fun-filled games. Additionally, you should see to it that they don’t end up getting scared. Loud noises will prove to be traumatic, so they are best avoided. 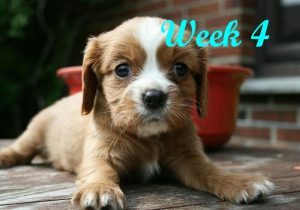 The fifth week will be a continuation of the fourth week. 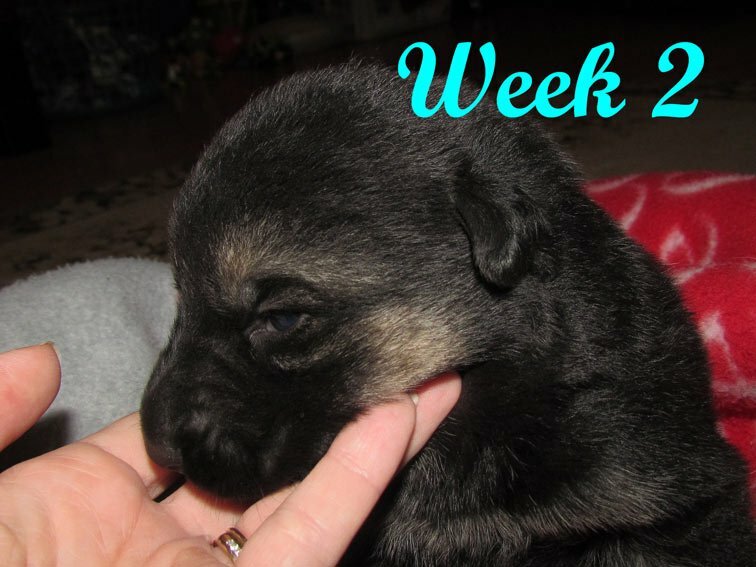 The puppies will face a few minor milestones. These should not present much in the way of any challenges to the pet owners. 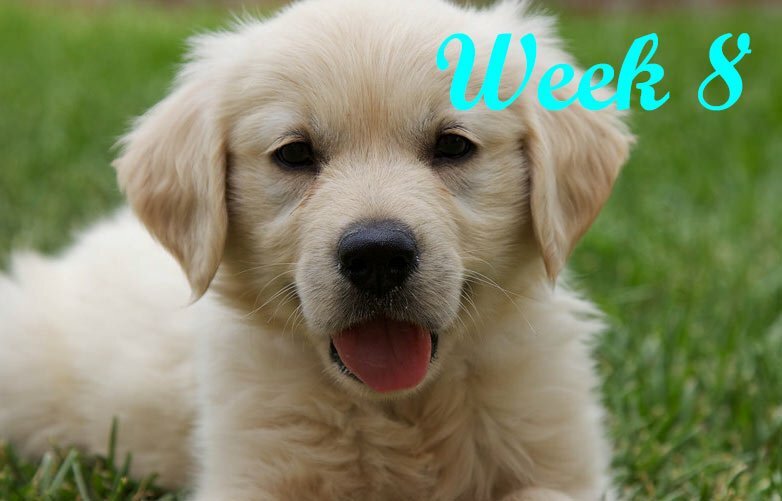 At the end of the fifth week, you should take your pet puppies to a vet for a flea bath. This will get rid of any pesky fleas that might have infested their soft and delicate outer coats. The puppies will exhibit signs of resistance to playing and novel stimuli. They are still in the learning process. Like the Terrible Twos in human babies, these pups are also facing their Time of Troubles. The best option is to leave them alone at this stage and allow nature to take its course. They will outgrow their shyness and rigidity with the passage of time. The puppies have become self-sufficient. They now pretty much know how to take care of themselves. So, provide them with solid Starter Kibble. They will enjoy this dog food instead of the previous gruel-like mixture. Also, they must get their vaccine shots from the local vet. This will ward off the chance of infectious illnesses. At this stage, the puppies are independent of their mother dog. They will show little to no interest in her. Their mother will reciprocate this attitude. She will mind her own business and let them be. This is because by now they can take good care of themselves. Therefore, you can play with them as you please and allow your kids to handle them as well. However, be careful that you don’t engage in a rough and tumble way since this could cause injuries to the puppies.